Personal reinvention is a survival mechanism in show business. The fact that you are and popular and successful one day is no guarantee that audiences won’t get tired of you soon. Countless acts have had to change and reinvent themselves as audience tastes and preferences change, but the truly great ones manage to reinvent themselves as the same character they started out as. Wonga Phil Harris was born was born to circus parents in Linton, Indiana, 1906. The name Wonga (meaning “messenger of fleet”) was given to him by a Cherokee Indian relative whom he stayed with while his parents were on the road with the circus. Harris’s father was the tent bandleader, and as Phil began to develop a talent for the drums, his father hired him to play under the big top at the age of twelve. Young Phil was enrolled in a military academy in Nashville, where he developed his trademark Southern accent. He did well enough in the institution’s orchestra, but when he got the chance he organized some of his classmates into five-piece Dixieland outfit and got the group booked into a new theater in Honolulu during vacation. When they returned to the mainland, the other for boys returned to the academy, but Harris joined an orchestra in San Francisco. He toured Australia in 1928, and returning to California he formed a band with Carol Lofner which became the house band at the St Francis Hotel in San Francisco. Next he put together an outfit who played the Cocoanut Grove in Los Angeles for a year. As a big band leader, Harris was getting some exposure on the radio, but he got a truly life-changing break when Jack Benny was looking for a new music director for The Jello Program in 1936. Even though he was hired to play music rather than getting laughs, Harris demonstrated that he could find his way around a one-liner, and Benny’s writers set about developing a character for him. Harris became a fast talking, girl chasing, hard drinking brash Southerner, “a musical idiot who never met a bottle he didn’t like or a mirror he could pass by”. Harris had married actress Marcia Ralston while he was playing in Sydney in 1927, but the marriage ended in divorce in 1940. He first met Alice Faye in 1933 while she was singing on the Rudy Vallee program. 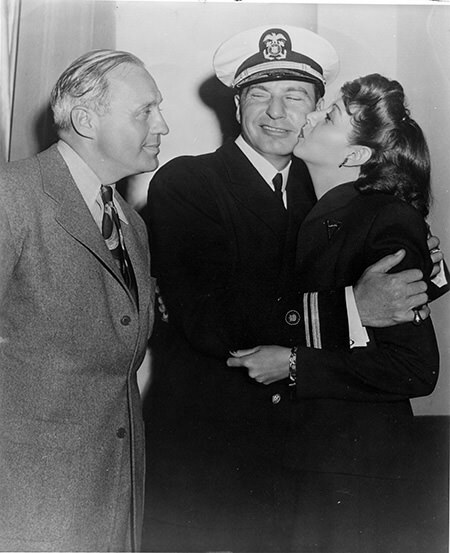 Harris was married at the time and Faye’s face was covered in bandages from an accident, so there were not many sparks at that early meeting, but in 1938 Harris came to her defense by engaging in a fistfight at the Trocadero nightclub with RKO Studio exec Bob Stevens who had apparently just jilted Alice. Harris and Faye both divorced their first spouses in 1940 and were married in a Tijuana ceremony in 1941. The couple had two daughters and Harris and his whole band joined the Navy in 1942. Alice walked away from her movie career after the birth of her second daughter. Fox studio boss Darryl F. Zanuck had the scenes from her last film, Fallen Angel (1945), edited to boost his new protégé, Linda Darnell. 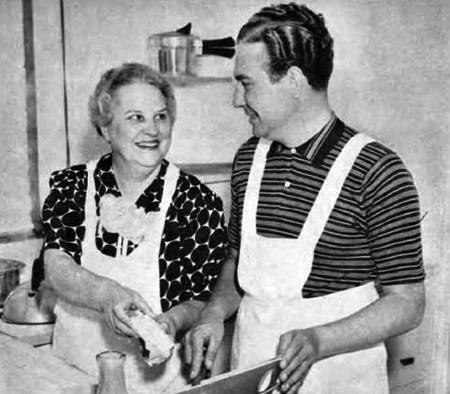 Alice found greater satisfaction as a mother and housewife (a totally new experience for her), but she did not completely drop out of show business. Alice began singing on The Fitch Bandwagon with Phil’s orchestra. The Fitch Program began as a showcase for bands, but Harris’s outfit basically took over during the 1946 season and began featuring family life sketches with Phil and Alice. With a new sponsor (Rexall Drugs) in 1948, Bandwagon became The Phil Harris/Alice Faye Show. Harris reinvented himself again from the jive-talking girl chaser he played on The Jack Benny Program to a responsible if scatterbrained father and band leader for his new show, playing essentially the same character on both shows (Harris stayed with Jack Benny until 1952, even after Jack moved to CBS). 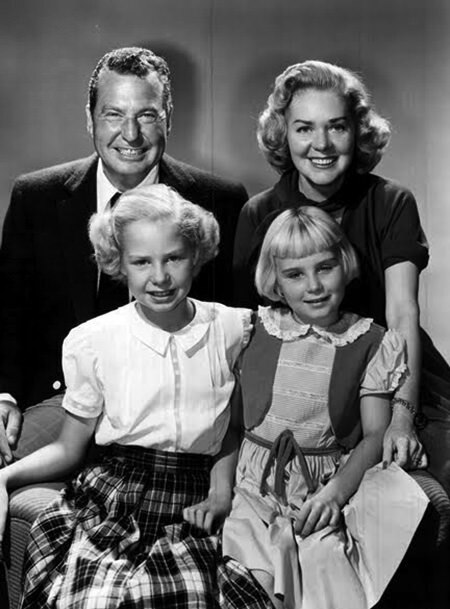 After The Phil Harris/Alice Faye Show went off the air in 1954, Harris went into a semi-retirement. He revived his music career to a certain extent, and appeared in a few films, as well as being a regular guest on ABC TV’s American Sportsman. He bragged how nice his life was in the California desert where he could walk out his back door, jump in the pool, climb out the other side, grab his golf clubs, play a round of golf and finish by jumping back in the pool. Disney hired Harris to voice Baloo the Bear in The Jungle Book. Harris was reluctant to take the part, especially when he saw the staid language of the script, which was close to Kipling’s original. After Phil asked if he could ad-lib a little, the writers scrapped the original dialog to reflect all of the actor’s personal styles. 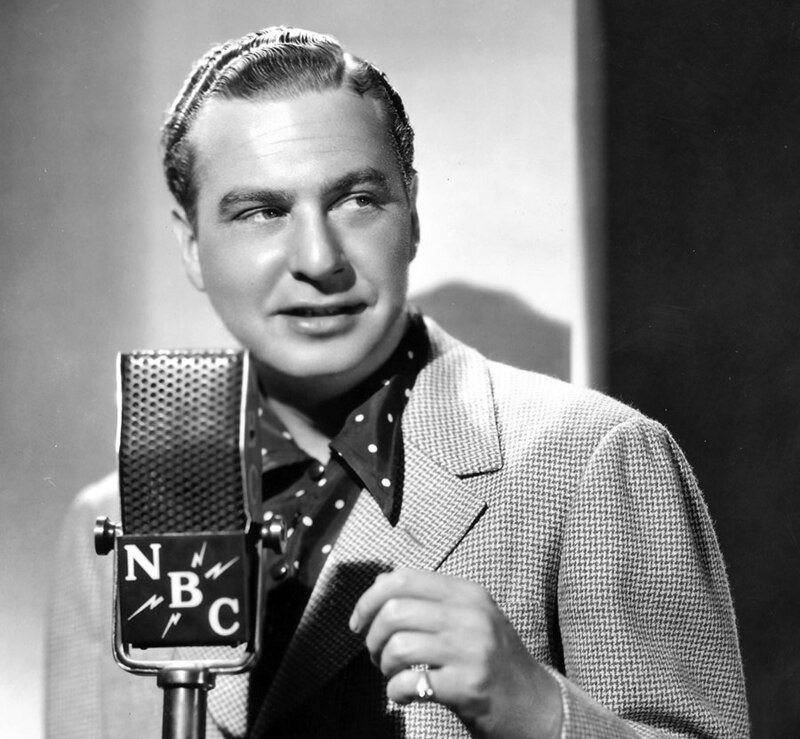 Two Stars on the Hollywood Walk of Fame are dedicated to honor Phil Harris, one at 6508 Hollywood Blvd for his work in Recording, and at 6651 Hollywood Blvd for his contributions to Radio. A Star at 6930 Hollywood Blvd honors Alice Faye’s contributions to Motion Pictures. Be the first to comment on "Phil Harris"